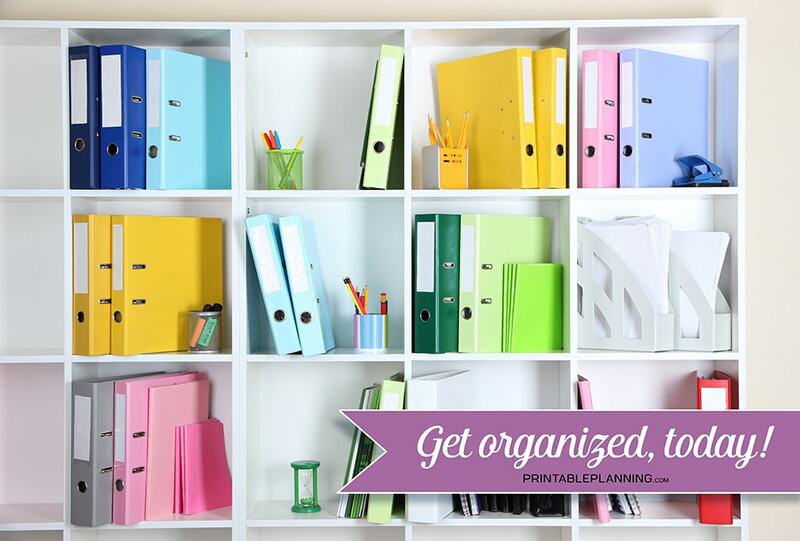 Get organized with Printable Planning! Printable Planning offers printable planners, lists, gift tags, stickers and labels, and organizational charts for your daily life because we believe in organization and making life less complicated. Organizing your tasks and daily routines is a proven way to lessen stress. Minimizing stress leads to happiness and better health. Whether you need weekly meal planning, financial organization and tracking, or grocery lists and recipe pages, shop Printable Planning to find the pages that will most help your daily life. Find goodies to help you plan your holidays and special occasions. From lists to gift tags, to other party essentials. Each page requires one purchase each to download. Once you've downloaded your page(s) you can print them for life when you save your file! • Affordable lists, planners, organization charts, and more. • Affordable printables for holidays and special occasions.Full page PDF files (8.5" x 11") for easy printing. Some PDF files are editable. • Each page is designed with a white border since most home printers cannot print to the edge. • Have multiple needs? Add more than one file to your cart and check out all at one time. • Immediate file delivery on your confirmation page and by email. Start shopping today, and get organized! Shop Calendars and Planner pages! Printable Planning is run by Amy Sagan of Artistically Invited. This is especially important if you're having any difficulty with your editable printable PDF files.